Your living area is unquestionably one of the most popular rooms in your home. As it is such a high foot traffic space, you’ll want to wisely consider the layout of your furniture and accessories. The arrangement of your living room can greatly affect the dwelling’s overall comfort levels, in addition to the ambience and atmosphere. If you want a residence that is inviting, welcoming, serene and engaging, you should arrange your fittings, fixtures and furniture with tremendous care. We’ve gathered 6 interesting ways to arrange your living room, which are sure to improve your interior ambience, style and enjoyment of the space. Symmetry is perfect for a living room, and although one might feel that this is a boring way of decorating, it can contrarily offer a sense of structure and warmth within the home. Symmetry catches the eye, often imparting an aura of impressiveness, which is highly desirable, especially for those residing in smaller homes. If you need assistance in designing your living room, chat to a professional and take out the guess work. We’ve got plenty of designers waiting to assist, you can find one here, and get started today! Instead of trying to make your living room the focal point within your home, why not try working with a view and opt to ensure your focal point is the window? Windows bring in desirable natural light, while drawing attention away from perhaps slightly undesirable furniture. Additionally, focusing attention towards windows will reduce a sense of oppression or cloistered ambience within small homes, boosting the openness and sense of freedom. With open plan homes often there is a need to combine the dining room and living room. This can work particularly well and ensure you have a functional space that is inclusive, welcoming and warm. 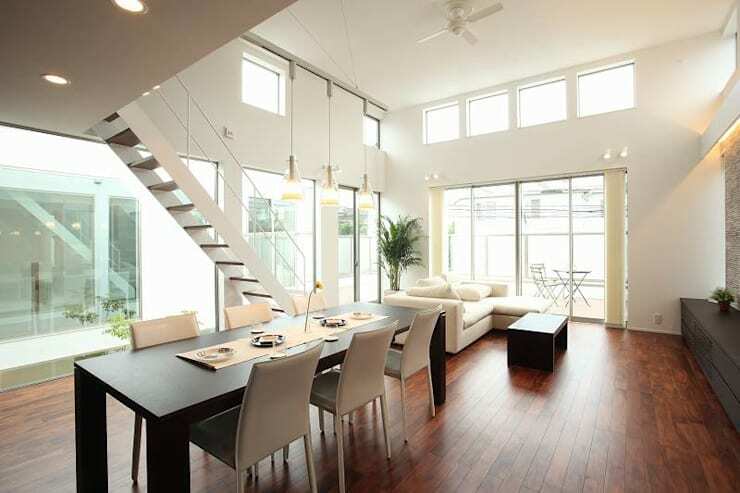 In this example we see that the dining area leads into the living quarters, and the result is seamless. Perfect for hosting friends and events, this open, spacious and roomy setup ticks all the boxes. Maximising your living room over the other parts of your space will assist in creating seemingly larger living quarters. In this example the dining room has been provided a smaller space, while the living area boasts the main part of the floor plan. This ensures it is perfect for entertaining, as well as giving the entire space an aesthetic and stylish boost. 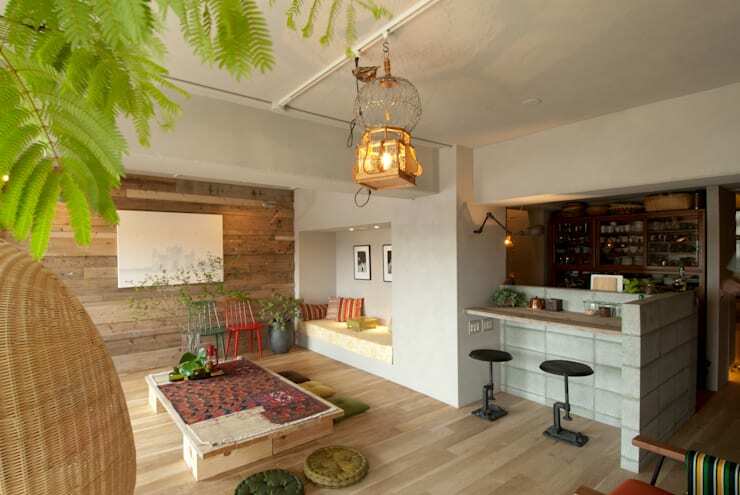 In many Japanese abodes, the living area is split from the other areas of the house by raising a platform for the lounge space. 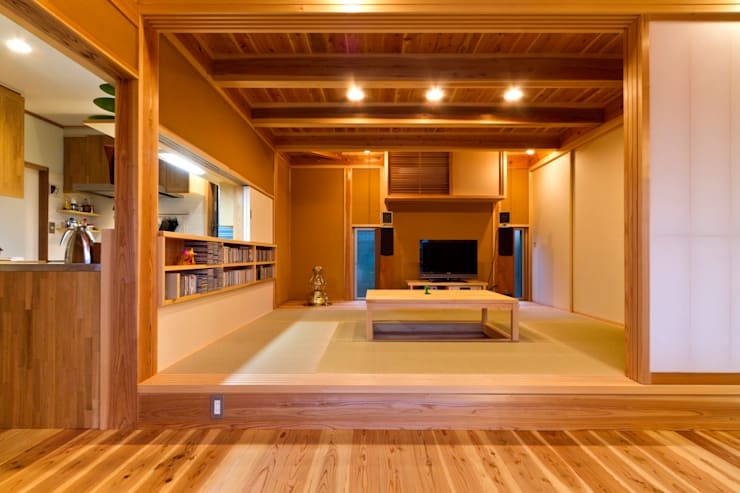 This is particularly effective, as it assists in raising one’s eye level and creating a gap between the line of sight when sitting in other areas of the dwelling. 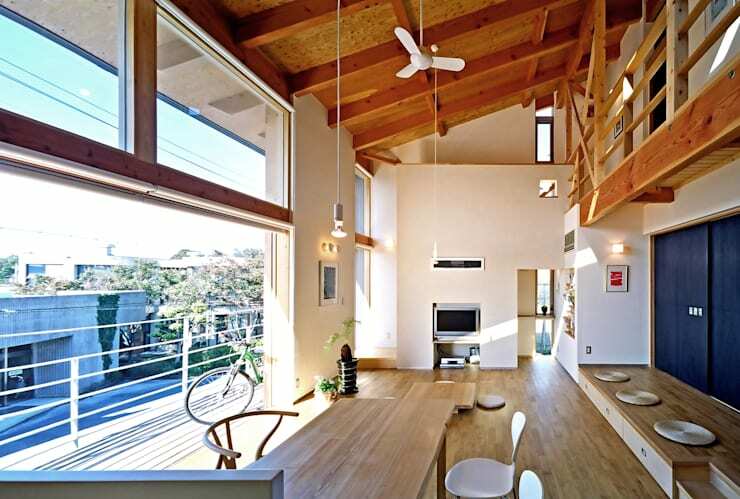 This room is a good example of a split-level living room that works particularly well. The tatami mat is in sight, while the entire setup is cohesive and uniform. A comfortable living room boasts good flow and movement within its spaces. Consider the different pathways and lines that your room will create, and try to position furniture in a way that maximises movement and continuity. Areas should be open and welcoming, yet subtly segregated to provide a clear delineation of space within the entire open plan area. You should also look at the amount of space behind and in front of each chair, making sure you can easily get in and out without hitting other items or even people. Would you like to check out some more living room design advice? We think you’ll enjoy reading: After seeing these 17 living rooms, you'll want to change yours! How do you arrange your living room? If you have any tips or tricks, share them with us!